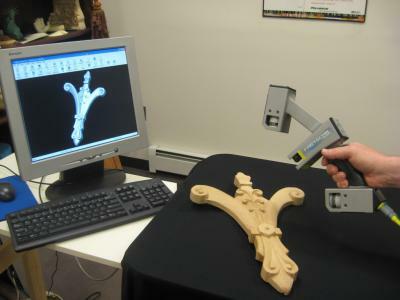 In the Woodworking industry, laser scanners and touch probes have been used for some time for digitizing objects, but due to severe technical or practical limitations, neither has seen significant use in the market. Software and CNC machine technology already exist to take advantage of 3D digital models, so digitizing has been the weak link in the process. The recent introduction of the FastSCAN to the woodworking market has changed that, and allows woodworkers to leverage digital technology to increase their productivity and get more return on their CNC investment. Click HERE for the full article.